We couldn’t imagine there was much room to improve the Eufy RoboVac 11 when we selected it as our favorite budget robot vacuum. It was one of the simplest, smallest, and most affordable models available. 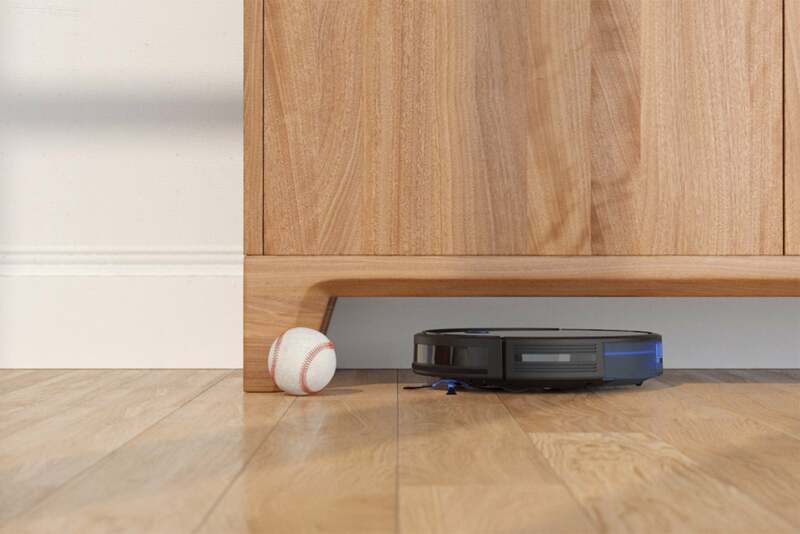 But the RoboVac 11s updates it with an even smaller profile and more powerful cleaning while keeping the price low. The 11s has the same black finish and tempered-glass top as its predecessor, but it’s slightly smaller: It's been scaled down to 12.8 inches in diameter and 2.8 inches in height from the 13-by-3-inch original. 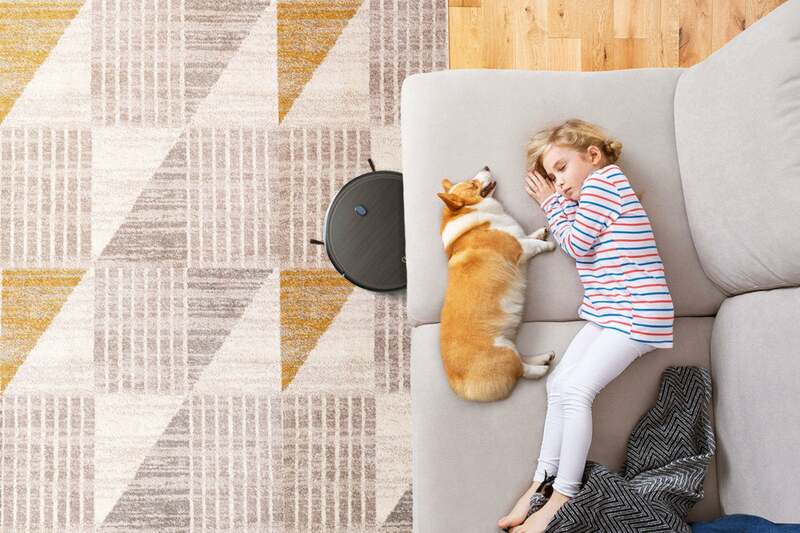 That’s one of the slimmest profiles we’ve seen in a robot vacuum, rendering it it ideal for getting under low-clearance couches, coffee tables, and other furniture. Like the RoboVac 11, the new 11s doesn’t use any sophisticated mapping technology to navigate. It feels its way around obstacles and through the room using a combination of sensors housed in its front bumper and underbelly. The cleaning is done by a roller brush and a pair of spin brushes for cleaning along walls. An 0.6-liter dustbin is in back, just like on the earlier model. The Eufy 11s is slightly smaller and has more suction power than its predecessor. 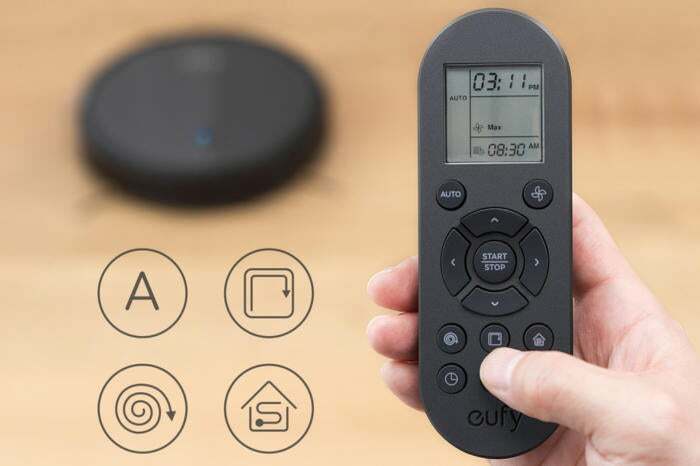 The accompanying physical remote control has a monochrome display that includes a clock and indicators for the current cleaning mode and suction level, as well as the RoboVac’s cleaning schedule if you’ve set one. Also in the box are a charging dock, four attachable side brushes, two extra filters, and a cleaning tool. To prepare the 11s for cleaning, you must first attach two of its side brushes. These snap onto two studs at the front of the vacuum with little effort. Then turn it on—the switch has been moved from the side to the bottom of the vac—and place it on the charging pins of its dock. Eufy says its high-capacity Li-ion battery will deliver up to 100 minutes of cleaning on a full charge. The 11s offers several cleaning modes, all of which can be activated from the remote. Single Room mode intensively cleans a specific area for 30 minutes and is best used in a specific room with the door closed. In Edge mode, the 11s reduces its speed to approach a wall and then cleans along it for 20 minutes before returning to its dock. In Spot cleaning mode, the 11s will clean an area of concentrated dirt in a spiral for two minutes. With Manual mode, you can direct the vacuum to an area using the directional buttons on the remote. Less than 3 inches tall, the 11s can easily get in and out from under low-clearance furniture. For general maintenance cleaning, though, your best choice is Auto mode, which automatically chooses different modes as needed until the job is done. I used it for daily cleanings of my approximately 400-square-foot downstairs living area. The vacuum had no problem managing the three types of flooring there—carpet, hardwood, and linoleum—or transitioning over a lip between the living room and foyer. It usually covered that space completely without needing a recharge. Because the 11s will move in a straight line until it bumps into an obstacle and changes direction, its cleaning pattern can seem haphazard. But it never failed to take at least one pass over every area it could reach. Despite regularly being littered with pet hair, food crumbs, stray bits of paper, and other detritus, the 11s left my floors even cleaner than the original RoboVac 11. That’s no doubt due the increased suction (1300Pa) and new BoostIQ technology, which automatically increases suction power on carpeting. Eufy's robot vac also did a better job of avoiding stray articles on the floor than the RoboVac 11, which meant I could leave it unsupervised for longer periods of time. Depending on how dirty the floor was, I could typically get through two cleanings before I had to empty the dustbin, so it’s probably big enough to handle one cleaning of a single floor in a larger house. 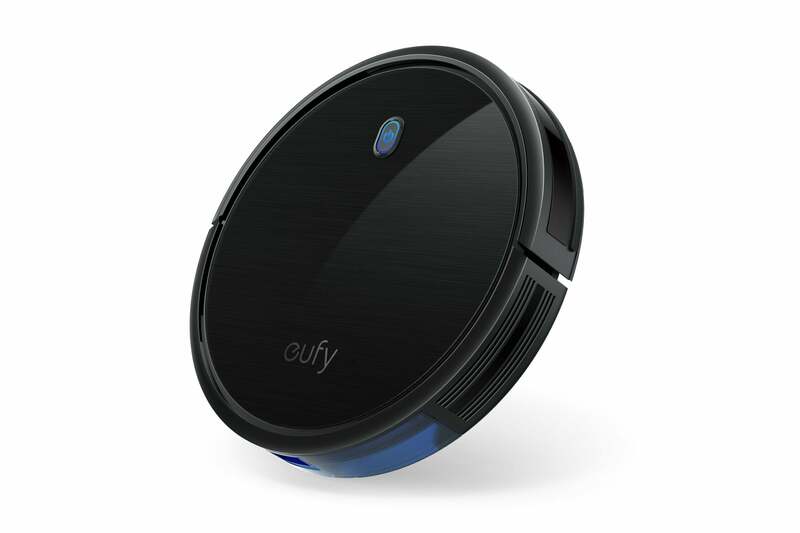 The Eufy RoboVac 11s comes with a physical remote control with a monochrome display. You can schedule cleanings to start automatically at a certain time each day, so you don’t necessarily need to be home to initiate one. Just set the start time using the remote control’s scheduling function. Note, however, that you can’t set different cleaning times for different days. Once you schedule a start time, that’s it for every day of the week.